These plates are for use in microchemistry experiments. 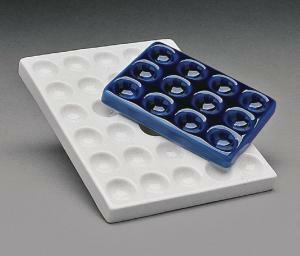 The glazed porcelain spot plates are acid resistant and chemically inert. They can withstand temperatures up to 1000°F.